In reality, the most effective marketing campaigns are designed, planned, and executed by a team of individuals working together for a common goal. Only when the team is working efficiently, with each individual at their peak and an atmosphere of camaraderie to draw them even tighter together, can they achieve the greatest possible results. So how can you do this, especially in the modern age, where telecommuting, individual segmentation, and digital distractions are commonplace? When it comes to the quality and effectiveness of a team, there’s something to be said for the teambuilding process. When you hire each individual for your team, you need to keep their personalities in mind. Are they a good culture fit? Are they team players? Can they get along with the other members of your team? These are important questions, but once you have the team together, what really matters is the execution. Furthermore, even a decently assembled team can be made into something extraordinary with the right processes, habits, and constructs. 1. 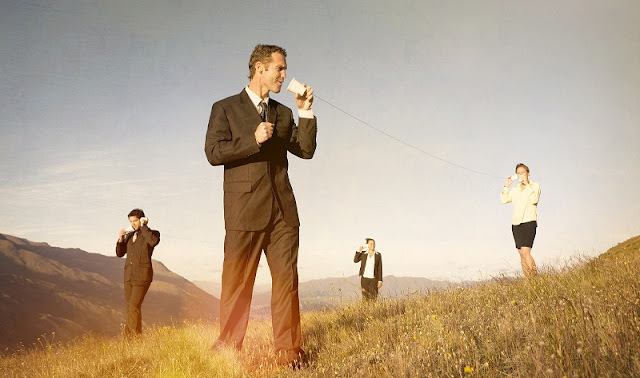 Take advantage of multiple communications mediums. We’re living in a fantastic and bountiful age of communication, with dozens of potential modes of communication to keep your team in contact with one another—but how you use (or don’t use) these platforms can bear a significant impact on your overall effectiveness. For example, instant messages can be an effective way to trade quick messages or provide updates, but if used as an exchange of dialogue, it could be stifling. 2. Facilitate transparency and accountability. Try to keep your team members open, transparent, and accountable, both with you and with one another. This open environment works in a number of ways—you’ll be able to tell who’s falling behind and needs help, who’s good or bad at certain tasks, and who’s excelling enough to be challenged with more responsibilities. One of the best ways to do this is through time-tracking software like Clockspot, which allows you to keep tabs on all your team members’ efforts, including how much time they’ve spent on each. 3. Allow some flexibility with hours and work styles. To some degree, this is up to your company culture, but it’s a good idea to add at least a bit of flexibility for your employees’ hours and working styles. For example, some of your employees may work better in the morning, while others may work better in the afternoon. Some may have distracting personal responsibilities, and some may prefer periods of isolation to get work done. Try to be as accommodating as possible while still maintaining clear lines of communication—such as mandatory “open” hours, where your entire team is available to one another. 4. Establish clear lines and responsibilities. When there’s any ambiguity in team roles, you start to have problems. Your team members may step on one another’s toes, or make false assumptions that lead to work not getting done at all. The only way to prevent this is to address it proactively by establishing clear responsibilities and division lines with all your team members. Make it public knowledge who is responsible for what, and who answers to whom—this isn’t about a pecking order, it’s about clarifying any confusion before it starts becoming a problem. 5. Encourage the open expression of ideas. This is a small step, but it’s a significant one. Let your employees know you’ll listen to their thoughts and ideas, and encourage them to bring those ideas forth. This will help you maintain more open, honest lines of communication, and may help you identify key problems before they begin to fester; for example, an employee may voice a concern of being overworked, giving you the chance to redistribute responsibilities before he/she burns out or drops the ball on something important. 6. Compensate for team strengths and weaknesses. Get to know your team members individually, including areas where they excel or where they fall behind. Then, use this information to reallocate your resources, pair members of your team, or provide further direction to compensate for those strengths and weaknesses. There’s no getting around these pros and cons, other than to acknowledge them and accommodate them with alternative strategies. With these strategies, you can bring your team closer together, keep them more productive, and lose less time with bad assumptions and missed messages. Don’t be fooled, however; these strategies take time to develop as habits and enforce. It won’t happen overnight, but if you’re consistent, you’ll make these principles a permanent and lasting part of your organization.